TIME BOMB SPOT: Real Deal & Joey Fattz LIVE! 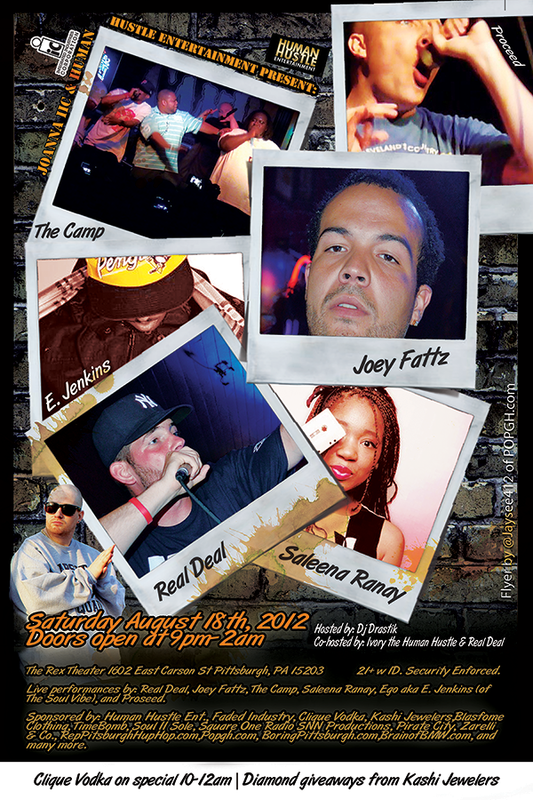 Joanna IIC & Human Hustle Entertainment have collaborated to bring you World Renowned battle MC/performer Real Deal & Pittsburgh native Joey Fattz performing LIVE IN CONERT at The Rex Theatre, Saturday August 18th, 2012 w/ special guests: The Camp, Saleena Ranay, Ego aka E. Jenkins (from The Soul Vibe) & Prossed. 21+ w ID. Security Enforced. 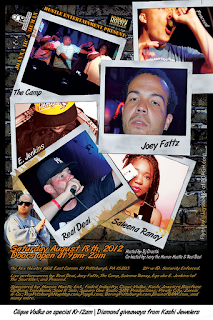 Live performances by: Real Deal, Joey Fattz, The Camp, Saleena Ranay, Ego aka E. Jenkins (of The Soul Vibe), and Proseed. Sponsored by: Human Hustle Ent., Faded Industry, Clique Vodka, Kashi Jewelers, Blasfome Clothing, TimeBomb, Soul II Sole, Square One Radio, SNN Productions, Pirate City, Zarelli & Co., RepPitsburghHupHop.com, Popgh.com, BoringPittsburgh.com, & BrainofBMW.com.